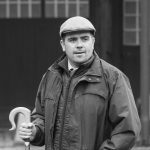 What is the history behind game shooting at Berwick, Shropshire? Henry: James Watson, a prominent Midlands industrialist and my maternal great-great grandfather, bought the estate in 1875. During his time here, he was also the MP for Shrewsbury. It then passed to his daughter and son-in-law, W.W.G.Phillipps, who ran it as a private shoot up until 1937. From 1943 until some time in the 1950s the shoot was let to a local estate agent, and from 1960 it was in the hands of a Birmingham businessman who ran it as a syndicate. The estate retained two pegs in lieu of rent. This arrangement came to an end in the mid-1970s when the then syndicate keeper, Charlie Baynton, retired, and my parents took the decision to run the shoot privately. To help with costs a friend of the family started to make a regular financial contribution and subsequently full or half days shooting were let/sold to teams of visiting guns, many of whom were friends. Today, the shoot is still managed by my father, and is run to make a profit through letting/selling days to friends, as well as business contacts of mine. Family financial contributions allow us to have occasional private days. 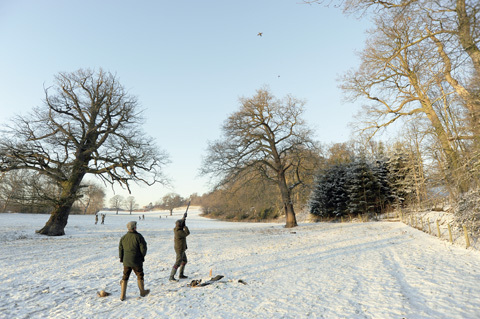 Overall, we strive to retain the character and charm of a family-run shoot here at Berwick. 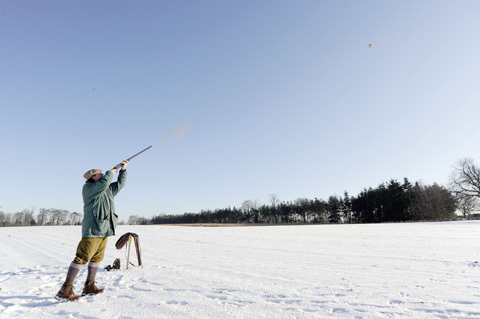 A pro-active partnership between the keeper and shoot owners means Berwick is able to show fine birds. What is your relationship with your headkeeper like? Roger: David King has been with us for six years having come over from Bleasdale in Lancashire. He is helped on the shoot by a number of friends who assist him as and when they are required. David and I liaise closely throughout the year, especially on issues concerning our birds, the majority of which are home-reared. Our duck are all wild and fed-in to a variety of natural ponds. Henry has recently re-established with David a pro-active woodland management policy for the estate, using outside contractors as well as our own chainsaws in the close season. Before shoot days, David and I agree on drives and peg positions in advance. David runs the beaters and stops with military precision, whilst I place the guns for each drive and we co-ordinate timing over our two-way radios. Our pickers-up are all regulars who know the shoot very well, and can move seemingly invisibly from one drive to the next, always ensuring no bird is left unpicked; their dogs marking birds that even the keenest guns might not have seen come down. What is the ground at Berwick like and how do you manage it? Henry: Berwick sits above the River Severn in undulating countryside, including interesting banks and glacial dips. Many of the woods were originally laid out for shooting to take advantage of the topography and have been improved over the years through active management. Since 1975, as tenants retired and farms came in-hand, development of the shoot has been maintained by the use of game crops, the judicious improvement of existing woodland and the planting of new ones to show the best birds possible. Advice from the GWCT has been invaluable and enabled development to continue. We are always on the look out for new ideas and never miss an opportunity to consider how the shoot might be improved. What is a shoot day at Berwick like? Roger: It is really important to us that we maintain a friendly, family atmosphere that is apparent to everyone who comes here. Henry works full-time in Birmingham during the week, so I’m very happy to carry on running the shoot. On shoot days, I will drive the guns round by Land Rover where needed and direct them to their pegs myself. Lunch is prepared by my wife, Mary-Jane, and served in the mess room of the estate stable yard. Henry’s partner Sally welcomes guests into the main house for tea afterwards with homemade cakes and flapjacks, where they can chat properly to David King as well. Henry: With some teams of guns coming from far afield, Sally and I host guests overnight in the house too, which is hard work but always fun. We want to make sure at the end of the day the guests are keen to return for another day, perhaps over a different part of the estate. How many days do you shoot, when do you shoot, what is the typical bag size on the day and how much does it cost? Roger: Normally we only shoot once a week, although an occasional second day can be accommodated. At 2,000 acres, Berwick is not a large estate and it is unlikely the number of shooting days will vary greatly from one year to the next. Shooting on the estate takes place every Thursday from October onwards. Shooting from October allows the birds here to mature properly and, in addition, this enables the in-hand farm to harvest maize crops in time that would otherwise constrain the partridge drives. We do not try to compete with the high bird shoots of the Welsh Borders, nor do we aim to provide large bags. The variety is provided with driven duck, partridge and pheasant, more than 20 different drives, and the bag can vary from between 90 and 250 head. The cost of shooting per bird on the shoot is below £30. For contact details for game shooting at Berwick, Shropshire contact Shooting Gazette.